If you are still consuming sugar, it’s time to sit up and take note. The benefits for giving it up are plentiful. 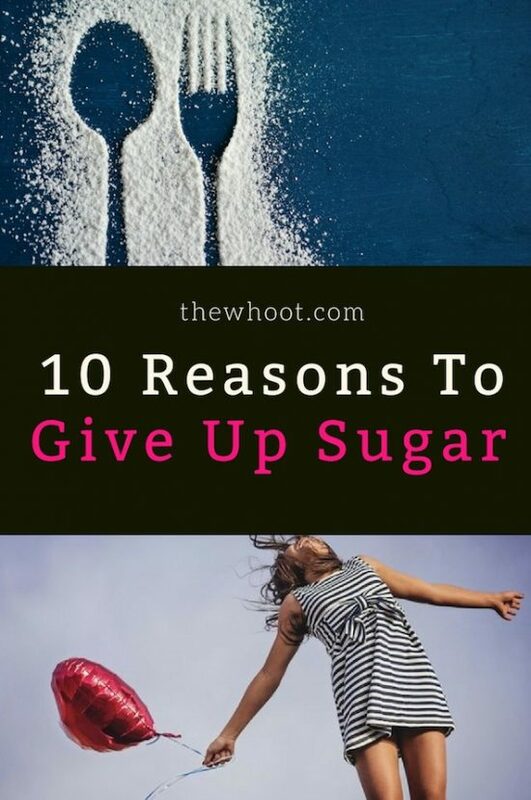 We have 10 top reasons for you to quit sugar today. Too much of anything is never good but when it comes to food, the affects can have serious consequences for your health. Today we examine the 10 reasons to quit sugar and this includes sweeteners too. We were shocked to discover that it can impair our ability to learn and also our memory and it speeds up ageing too. This infographic was created by Lisa Richards of The Candida Diet. Sugar is directly linked to disease in the body and when you look at the list above Diabetes, Asthma and Obesity are just some of them. Sugar promotes inflammation in your body too. Another issue with sugar over consumption is also responsible for upsetting your Gut Flora and we know that is where all disease manifests. Sugar is linked to Cancer and the list goes on. We are including this video that tells you the reasons that sugar is as bad as alcohol and it literally fries your liver. While we are on the subject of Cancer, artificial sweeteners should be something that you immediately remove from your diet. This infographic from The Truth About Cancer should be enough to make anyone shudder. The great news is that our bodies are built intelligently and they can recover very quickly when you know what to do. Research and knowledge is key. If you stay in the dark and avoid looking into things, you are not in control of your own destiny. As a result you are contributing to your declining health through the worry and anxiety of not knowing what is going on. There’s a reason that more and more are becoming their own Doctors. Read the story of Felicity who beat Stage 4 Pancreatic Cancer. That was back in 2003. She is still here today, happier and healthier than ever. You can read about her here and if you’d like to save 22 teaspoons of added sugar a day, read our post about the hidden names for sugar here.